If you ever have the unfortunate need to be picked up by the paramedics, you want to make sure they know your medical history. But there’s another kind of history that’s best not shared. 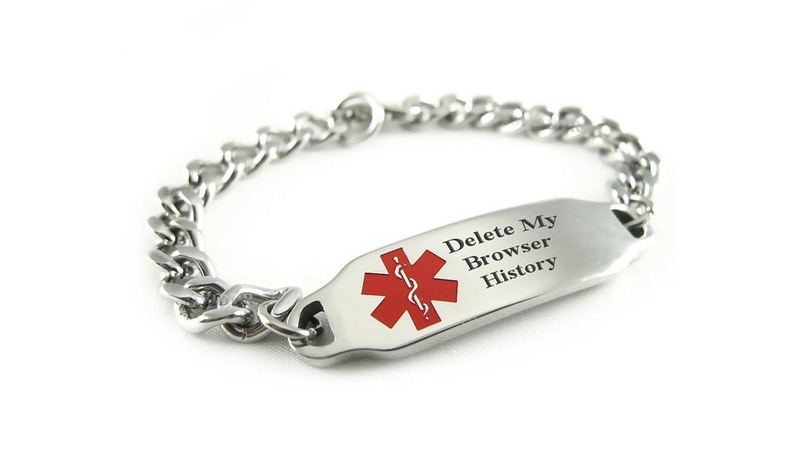 My Identity Doctor’s ID bracelet is here to help. Also, always wear clean underpants.